Yesterday was the first day of the Pacific Salmon season here in Newport and we at Yaquina Bay Charters took out three trips to test our luck. Last year’s opening day was a disappointing one to say the least with less than 5 fish brought home, but this year was much better and 32 fish were brought back to dock with countless others released. We’re getting a lot of action and all of our customers from yesterday said they had a great time fishing despite being short on limits. We are looking forward to many more successful trips and even better fishing throughout the next few weeks. 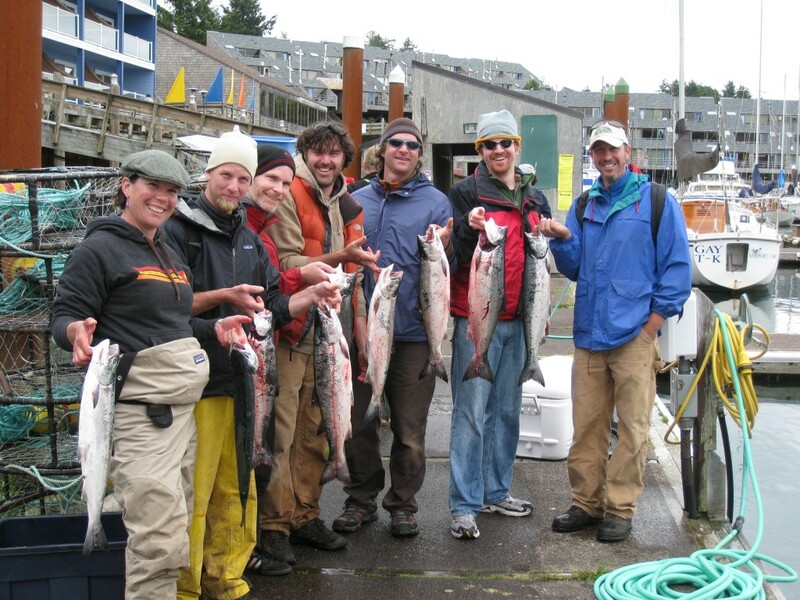 We have Salmon trips scheduled nearly every day, so give us a call to save your spot before it’s gone! 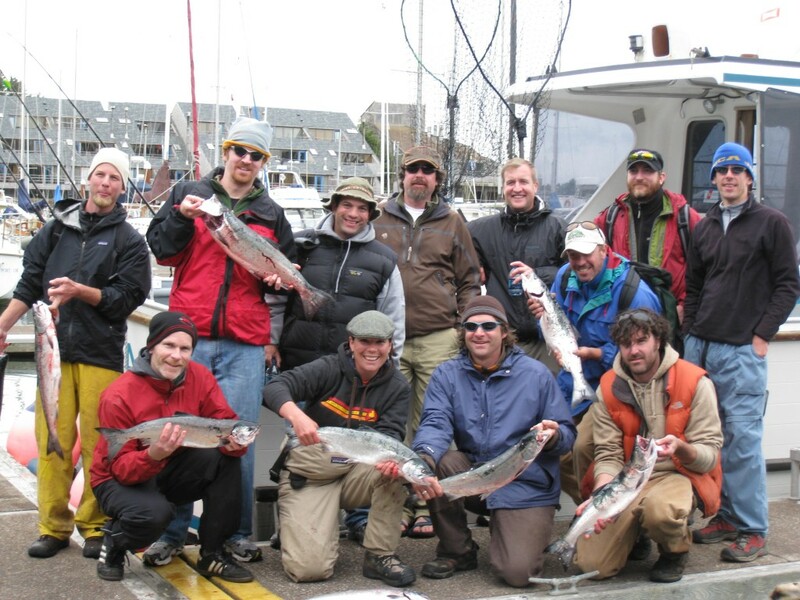 Bottom fishing trips are also still available as well as our 10 hour Salmon/Bottom Fishing combo trip. Stay tuned for Tuna coming up in July! One Response to "Salmon Opening Day"
This was for my bachelor party and it was a great one! The crew was awesome and the seas were great. Though we didn’t limit, we had a blast! -and remember. NO BANANAS ON THE BOAT!! !